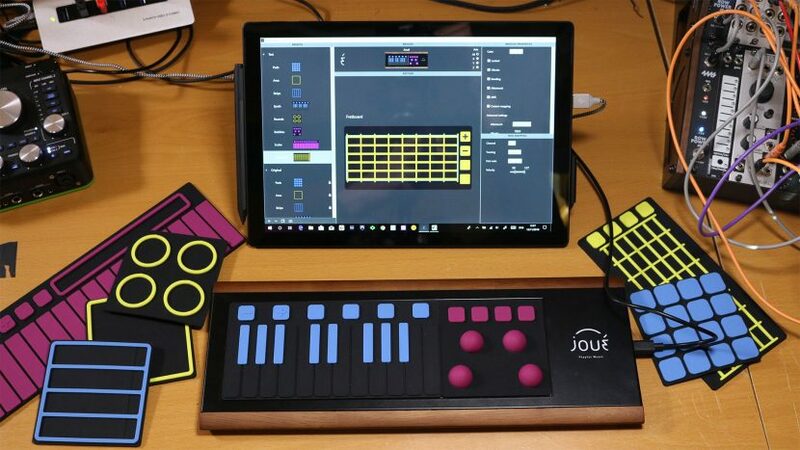 The Joué is a fascinating touchy, tactile, flappy and elegant MIDI controller that can be all sorts of things. I go through the functions, the modules, the editor and hopefully demonstrate the potential of the Joué to do interesting and creative things. Note: regarding the MIDI mapping of the Bubbles you can use the “axis lock” feature that you will find on the right of the devices view in Joué Editor. Select « X » and only the horizontal axis will send CC messages, « Y » will only send messages when moving vertically and « Z » only when press. Don’t forget to select « All » when the mapping is done.